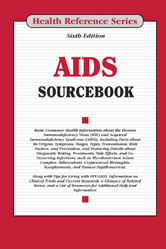 AIDS Sourcebook, 6th Edition, provides basic consumer information on HIV and AIDS, including information about the stages and types of the disease and about how it is transmitted. It includes guidelines for preventing transmission and details about diagnosis and treatment. Information on living with AIDS and its accompanying complications is also included. Section 16.1—What Do Your Test Results Mean? Section 16.2—Do You Have AIDS?